Better than a box of chocolates - Twelve (12) of our wrapped bars ready for gift giving! You select the soap recipe or theme group, we'll wrap twelve different soap scents from that scent theme group, and ship your gift box filled with festive colorful raffia shreds along with your gift card and message. 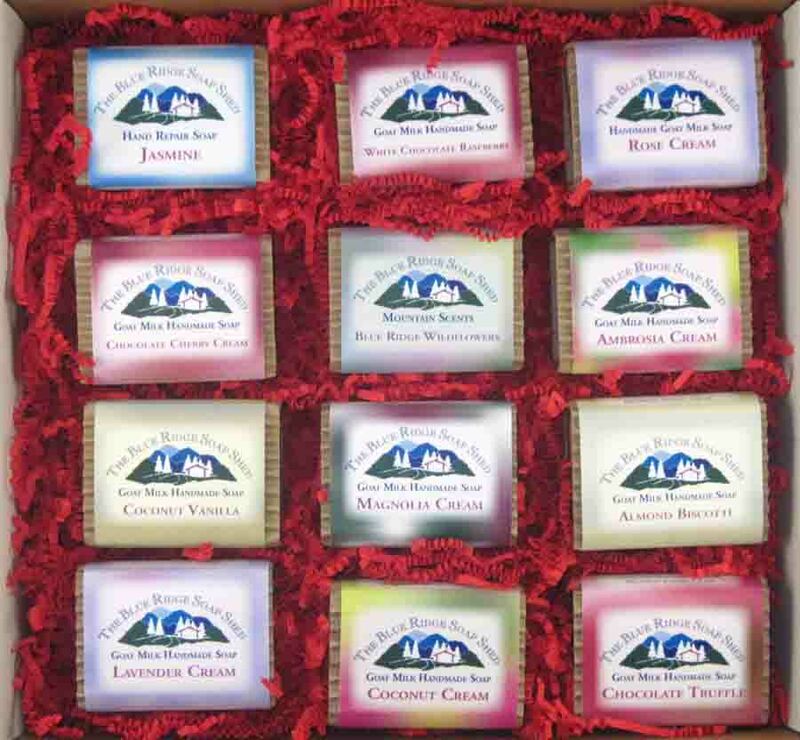 One delicious smelling soap for each month of the coming year.